The Crew Dragon builds on the success of the Cargo Dragon, an un-crewed craft that delivers supplies to the ISS. The Cargo Dragon has been making trips to the ISS since 2012. But the Crew Dragon will have life support and other systems necessary to transport crew back and forth. Ever since the Space Shuttle program ended in 2011, NASA has been working with SpaceX, and Boeing, to develop a safe and cost-effective way to transport astronauts and supplies to the ISS and other potential destinations, from American soil. In the intervening years, the Russian Soyuz capsules have been the only way to get crew back and forth to the ISS. Overall, the Soyuz system has a very safe track record. But some cracks might be starting to show. NASA and space administrations in other allied countries would never say so publicly, but they are likely relieved that the Crew Dragon system is almost ready to go. There are also serious political tensions between Russia and the West, which may cause some worry about continued use of the Soyuz capsules. But somehow, political tensions never seem to affect scientific cooperation. Even since Russia entered the Ukraine, an act that was condemned by the US and allies, the Soyuz launches and crew deliveries to the ISS went on uninterrupted. 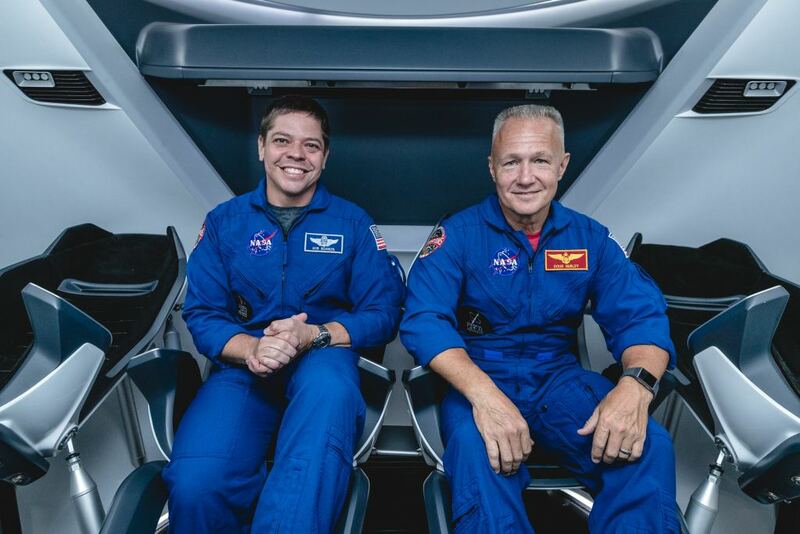 The Crew Dragon’s first crewed flight has been set for June, when it will carry NASA astronauts Bob Behnken and Doug Hurley to the International Space Station (ISS). Then it’ll return to Earth and splash down in the ocean for recovery. The June date isn’t set in stone. After test-firings and test flights, engineers will have a lot of work to do. Results from Demo-1 will probably alter the date for Demo-2. The SpaceX Crew Dragon, along with the Boeing Starliner, will be the first non-governmental, privately-owned spacecraft to perform their role. They represent a unique step in the evolution of spaceflight, though they’ve both worked closely with NASA to develop their spacecraft. The Crew Dragon’s first successful trip to the ISS and back, assuming it goes before Boeing’s Starliner, won’t be the final accomplishment for the spacecraft. SpaceX has plans to send the Crew Dragon to Mars and back. They also have plans to send tourists around the Moon and back in the Crew Dragon. But that can’t happen until the Falcon Heavy or the BFR is ready. When Demo 1 does take place, it’ll perform an uncrewed rendezvous with the ISS before returning to Earth. That’ll be a big moment for SpaceX and for everyone else. It’ll also mean that NASA has turned a corner, and with the Space Shuttle program firmly in the rear-view mirror, they can focus on the future.